Since ive got a lot of these I figured i'd share some more. Lara the cat is always fun to play as knowing her psychotic and crazy yet smart nature. Ive always used her as with the idea that she's a successful villain meaning she could actually get away with what she planned (or at least more so than Eggman). 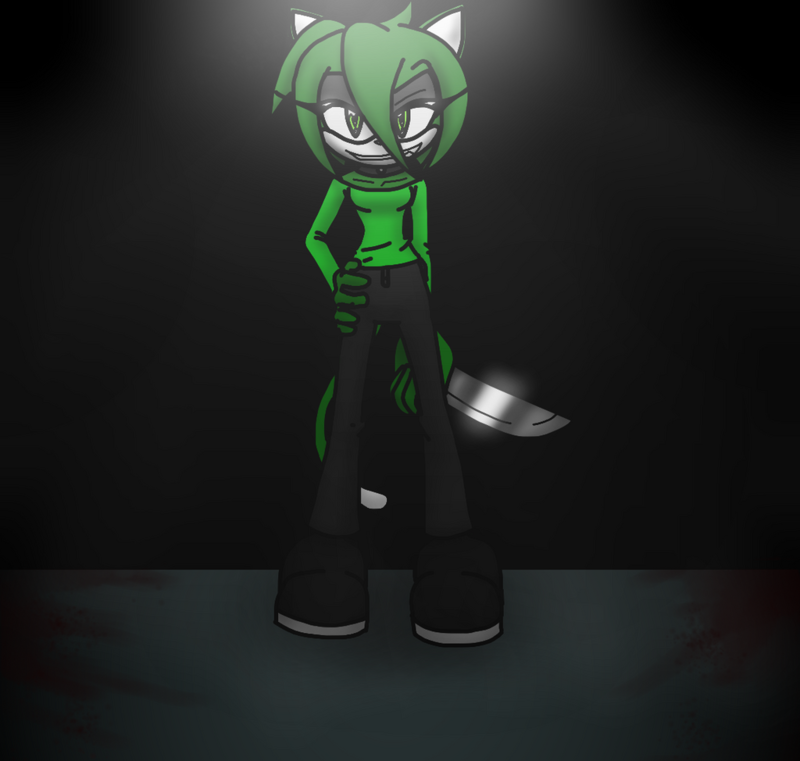 She was also the first character I used for more extreme and dark themes and stories that got me into more dark plots, that while may be horrible for all protagonists involved, was really intense and interesting for those playing or reading. She also helped me practice drawing more twisted expressions on characters. So here's sort of "unusual" or "bad guy" OC of mine Grandmaster Lone The Cat! My friend told me to post this though to be honest I didn't think it was a good idea..
No worries. It is good. Curious about the tail. Is that a weapon on the tip? Yes it is. It works like a normal needle. And depending what liquid she uses as a weapon it can be used for many things (if she puts sleeping medicine in the little capsule on the right side of her tail she can easily end unnecessary fights or imprison some of the freedom fighters. Also her tail can grow "a little bit" longer" which makes the fight a bit more difficult for some certain Freedom Fighters for example.) Also her left leg is robotic allowing her to hover some time or fly (that's if she is able to keep her balance but she usually uses her tail for that.) It is also possible to change the end of her tail if she so wishes. To a more hook like end or arrow like end. And her hand turns into a laser cannon. Cool. Nice set of abilities. Thanks :3 and well of course her robotic eye is able to calculate stuff and to find anything organic.. I hope you all like Oda Dex Madillo! A character who started as Mighty's cousin and ended up being a tech genius who turns emo lol.